Released in August, the Nikon Coolpix S4150 is a mid priced compact in the Coolpix range, with a 3 inch, 460k-dot touch control LCD screen, 14 megapixel CCD image sensor and NIKKOR wide-angle 5x zoom lens. 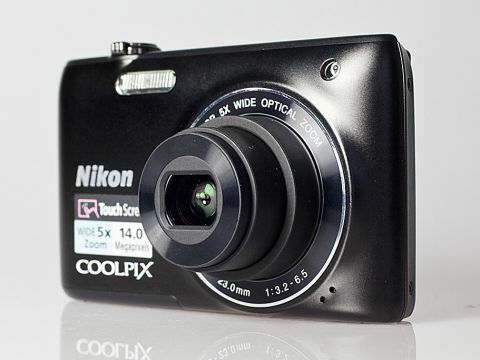 The Nikon Coolpix S4150 can be picked up for around £140, placing it in the middle range of compact cameras. It offers three different shooting modes - auto, scene and smart portrait. There are twenty scene modes to choose from including portrait, macro, pet mode (where the shutter noise is muted), museum (no shutter noise or flash) and fireworks. Alternatively you can choose "smart scene" and the camera will pick the scene it thinks will work best for your shot. The Nikon Coolpix S4150 utilises five different flash modes depending on what mode you're using, including redeye reduction and fill flash. Smart portrait offers users the option of letting the camera take a photo when a subject is smiling and also offers blink detection. The Nikon Coolpix S4150 doesn't offer a manual mode, but you are able to change aspects such as the sensitivity which ranges from ISO 80 to 3200, the exposure compensation and the white balance, including creating your own custom white balance, which is straightforward. In camera retouching, resizing and editing is available. The resizing and retouching offer some useful tools for people who do not have access to photo editing software, although the editing options allowing you to add frames and cartoon hearts are likely to be less used by most. Video can be shot in HD 720p (1280 x 720), VGA (640 x 480) or QVGA (320 x240). You can zoom in whilst shooting a video, but that's about all you can do - the touch screen options are not available during the recording. The decreased quality is immediately evident whilst using the QVGA mode, but the HD video and VGA create film that would be perfectly acceptable to post online.